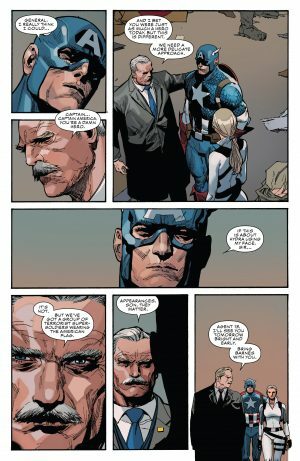 Marvel Comics Universe & Captain America #1 Spoilers: America, Not Hydra, Conquered & Broke America? Is This An Essay On U.S. President Donald Trump’s America On The Fourth Of July? 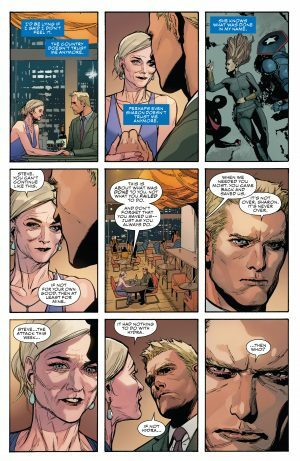 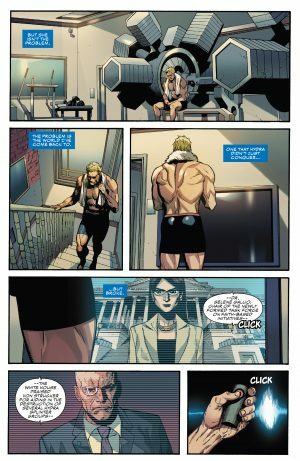 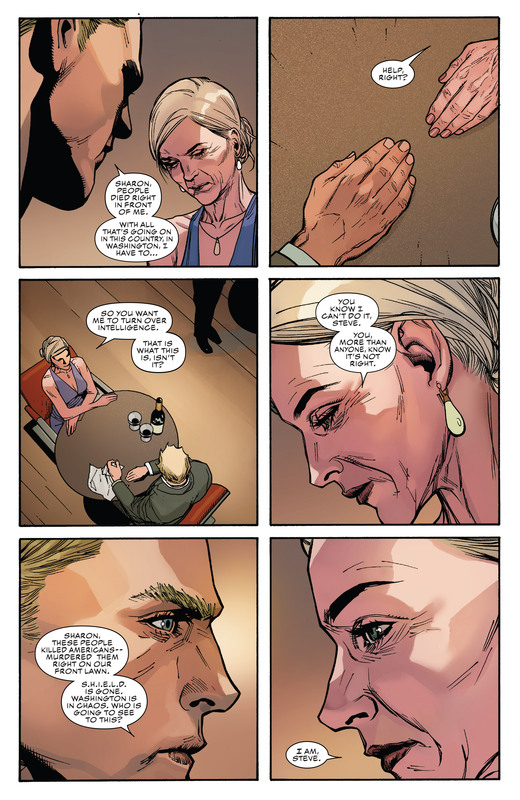 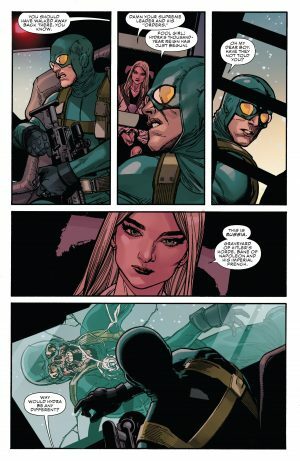 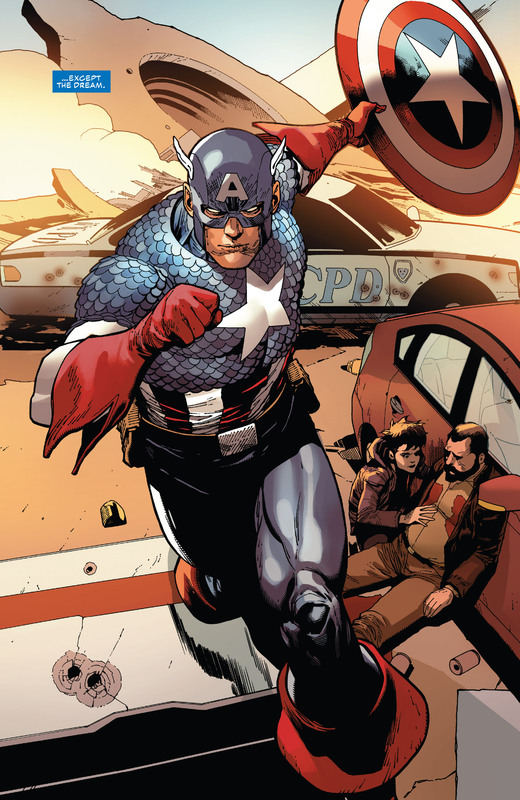 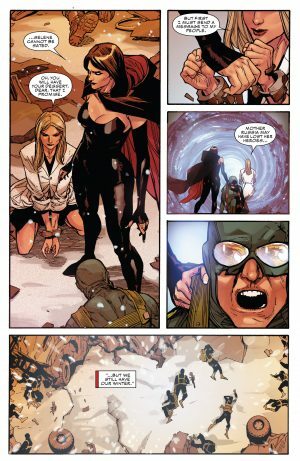 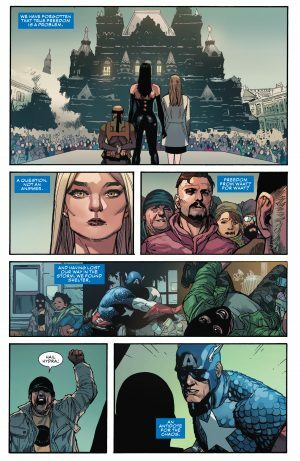 Marvel Comics Universe and Captain America #1 Spoilers follow. 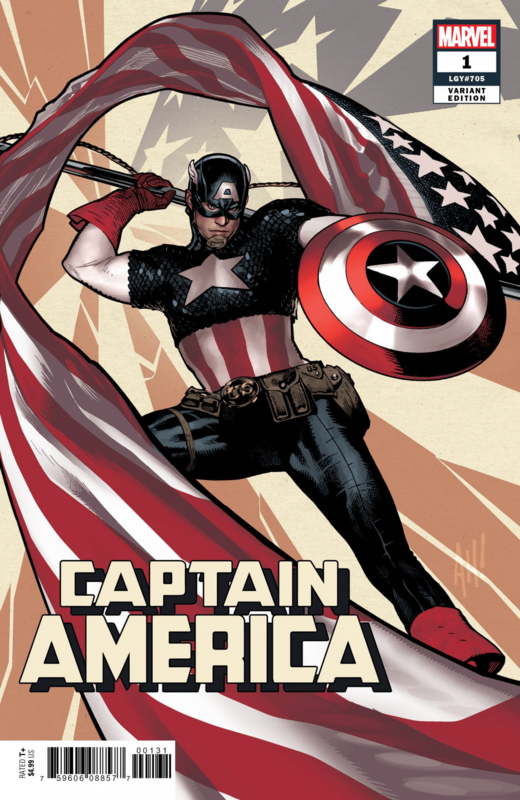 America, Not Hydra, Conquered and Broke America? 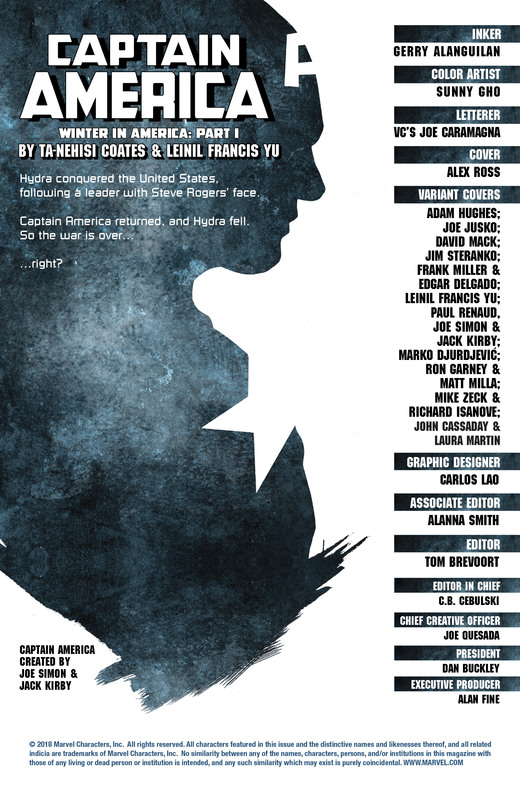 The book opens with a story catch-up and credits page a few pages in. …by Selene who Saved Alexa who wants to make an example pf a Hydra Agent for the Russian populace. Who Alexa and Selene don’t appear to be explained anywhere in the book, but Selene would appears to be the Black Queen of the old Hellfire Club. 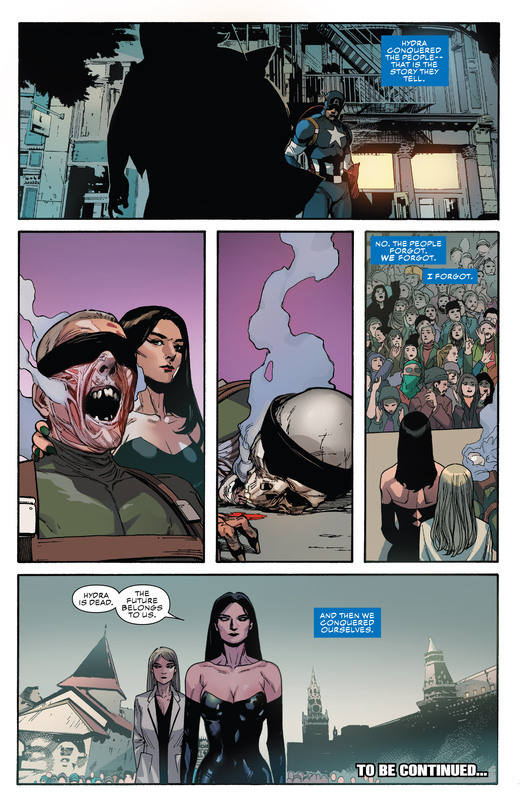 If you have any intel on who Alexa is, or want to correct me about Selene, let me know. 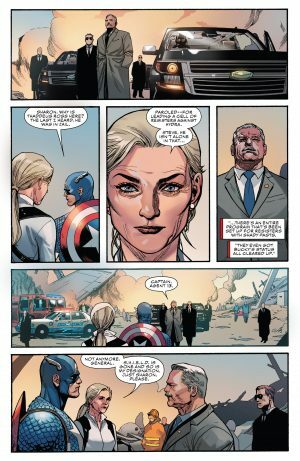 General Ross, formerly the Red Hulk I believe, is back having been pardoned by the President of the United States for their efforts to fight Hydra; several villains have gotten pardons for that reason we’re told. 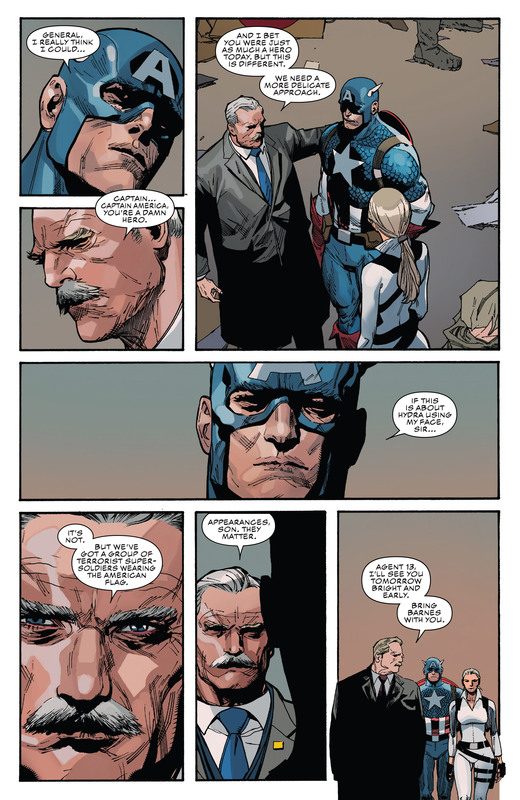 General Ross was personally asked by the President to handle this situation; he benches captain America, but asks Agent 13 to bring the Winter Soldier with her tomorrow to meet him on his plans. 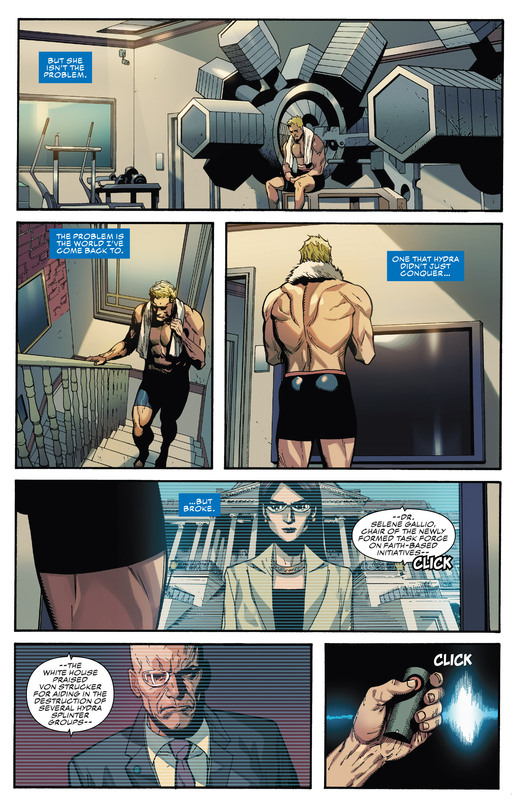 …she trusts Captain America, but she’ll get to the bottom of whatever “this” new threat is. 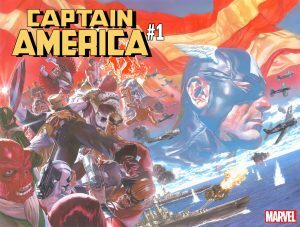 The book begins to end with Captain America monologuing about what has become of America as readers see Baron Von Strucker is one of those pardon villains we learned about earlier. 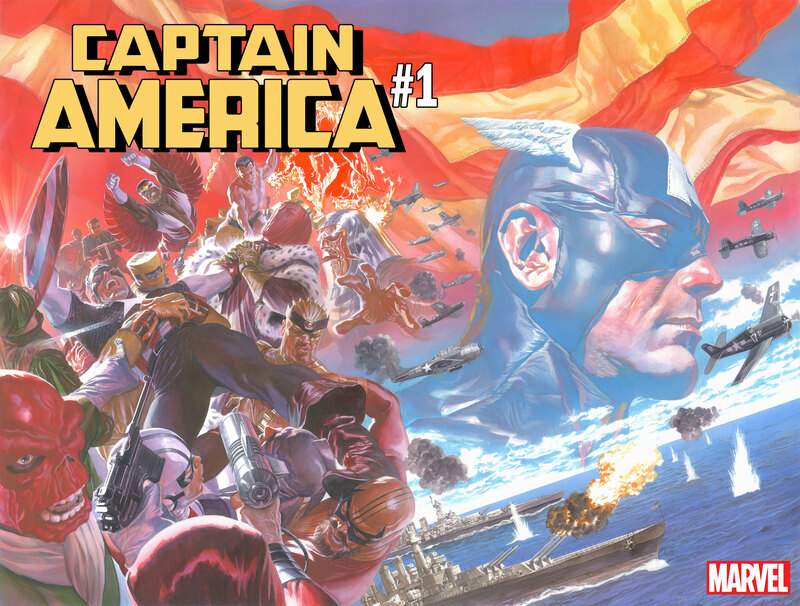 We then get a comparison of how Russia deals with Hydra vs. the United States of America. In America, heroes subdue the Hydra agents and in Russia they are killed; this case by the Black Queen. 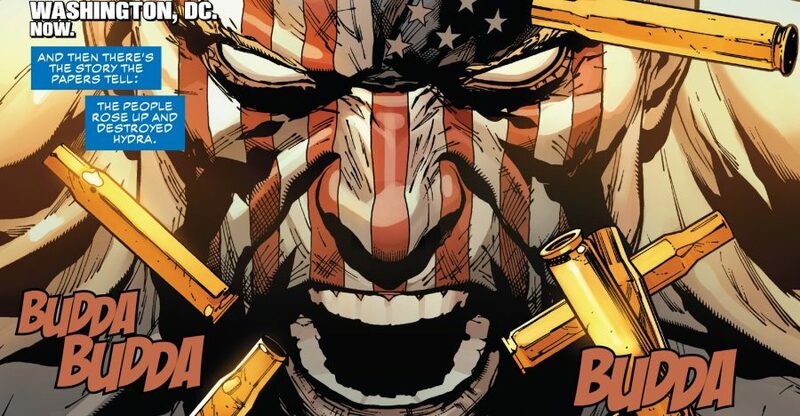 So, Is This An Essay On U.S. President Donald Trump’s America On The Fourth Of July? 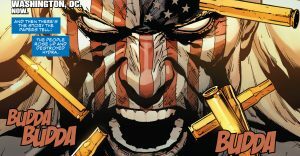 Waid’s Belief Of A Broken USA, Russia Front and Center, Pardoned Villains?